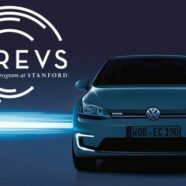 Your writer is lucky enough to be involved with Stanford University’s revolutionary Revs program and at a recent event a former student showed him “the latest car we have, an electric Golf”. 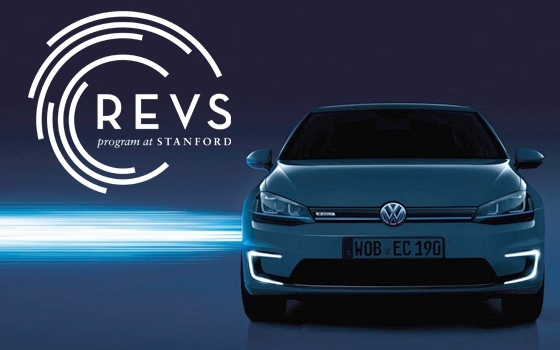 We were in VAIL—the Volkwagen Automotive Innovation Laboratory—and surrounded by all Stanford’s autonomous and solar car experiments and projects. Visually, the Golf was distinguished from its conventionally motivated brethren only by some blue trim around some of the jewelry, in that hue of blue which car makers have decided conveys electricity and cleanliness. My former student knows me well, knows we share a love of cars and motoring. He was most interested in the part of our course which covers the rise of the British “garagiste” teams in Formula One, because the challenge was such an exciting one for a car loving engineer. “The main thing you notice is the power delivery is so seamless,” commented another. The interior feels high quality; the steering wheel has a squared-off bottom, with blue stitching on the rim, and the ensemble feels very close the Audi rental cars I have recently written about. Outside, panel fit is immaculate, with tight, regular shutlines. I did as he suggested even though we were in the lab, facing the wall and the party. I did as he suggested. Indeed, there was an oblivious cheese and wine drinker standing against the front bumper. The car had started and gone “into gear” without a sound to betray it. I pointed out that if there was a beeper, it would be annoying, like seatbelt chimes. He suggested I put the car back in Park, and put the handbrake on.